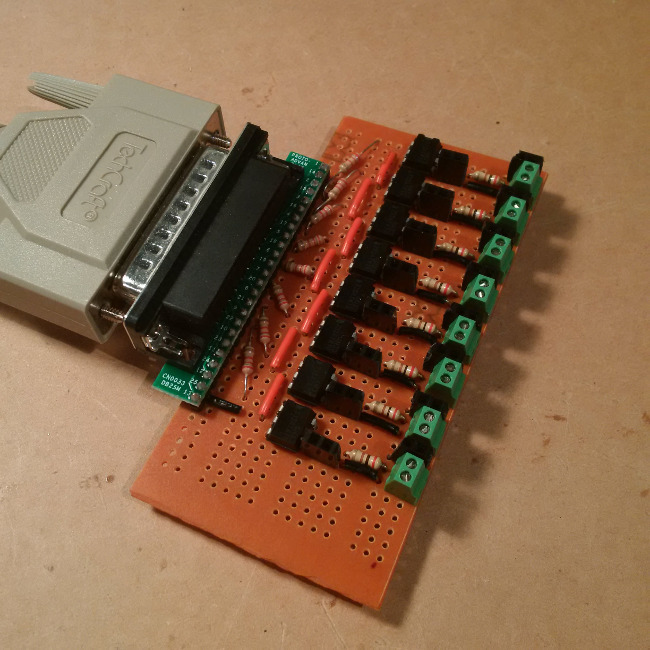 After becoming interested in electronics anew, I decided to create a parallel port interface which I can use for many circuits to come. 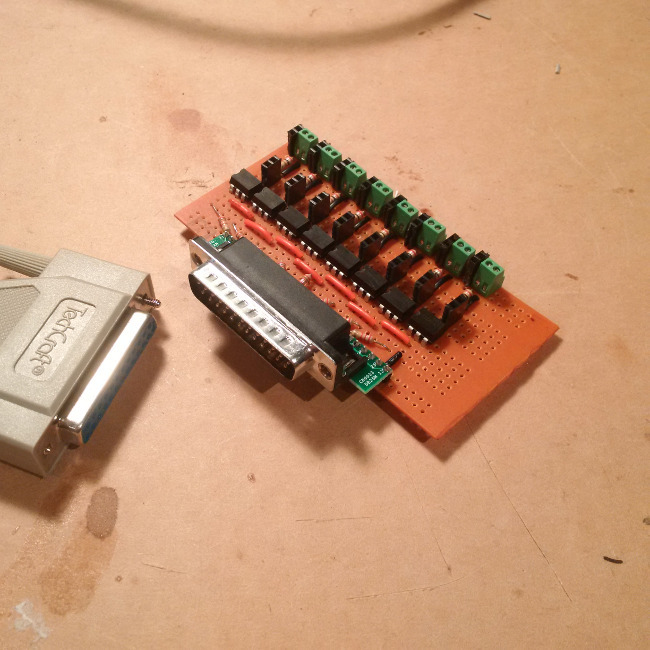 I like to use the parallel port when interfacing with the devices I build. Computers with parallel ports are hard to find so I wanted to protect the one I have by means of optical isolation. This way, the parallel port side is electrically isolated from the output side. Each of the 8 parallel port data pins is connected to the input of a 4N33 photodarlington optocoupler IC (in series with 2.2k Ohm to reduce current). Thus, under 2mA is drawn from each HIGH pin. The output side of the 4N33 is a NPN. Each pin exposes the collector and emitter. For further protection, 200 Ohm resistors are placed in series with the collector.